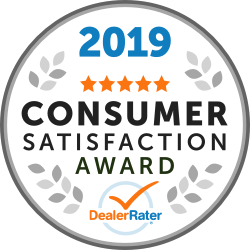 At Salerno Duane Chrysler Jeep Dodge dealership in Summit is here to ensure you get the best experience. Our professional staff will help you find the vehicle you want and prices you can afford. Our Jeep Chrysler Dodge Salerno Duane dealership is located in Union County off of Route 22, 24, 78 and the Garden State Parkway on Broad Street in Summit, NJ. 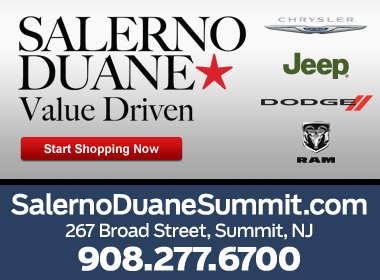 Our Salerno Duane Summit dealership is always getting new Jeep Chrysler Dodge models including Sedans, Convertibles, Crossovers, SUV’s and Trucks. Check out our inventory available in now and visit our dealership to test drive! Paul made the process of getting a new Wrangler easy!! Very honest and he cut us a great deal. Thanks for everything Paul & team at Salerno! "Amazing, straight to the point, professional service"
Paul was great to work with. He was professional, knowledgeable on all cars, and helped get us a good price. Would definitely recommend working with him and looking forward to coming back to this dealership again in the future. "Great Job and Car! " I had a great experience with the Summit Dealership. They were able to work with the price I wanted to pay and still get me the car I wanted! Today I worked with Paul Shorrock for the 2nd time in 3 years. I actually considered going with another brandbut Paul and colleagues won me over again and got me into a beautiful new Jeep Grand Cherokee that fit my budget (which was my main objective). The process was smooth and painless. I had a great experience buying my Jeep from Paul. He was very friendly and efficient. He showed me all aspects of the vehicle and was patient with me. I would recommend this dealership. We had a great experience at Salerno Duane! This is the second vehicle we have bought from them and this experience was even better than the last. The salesman was very personable and knowledgeable. I would definitely recommend them. Henry went above and beyond....it was a pleasure to work with him. Truly professional and accommodating. Would recommend friends and family for sure. Very happy with my purchase!!! !